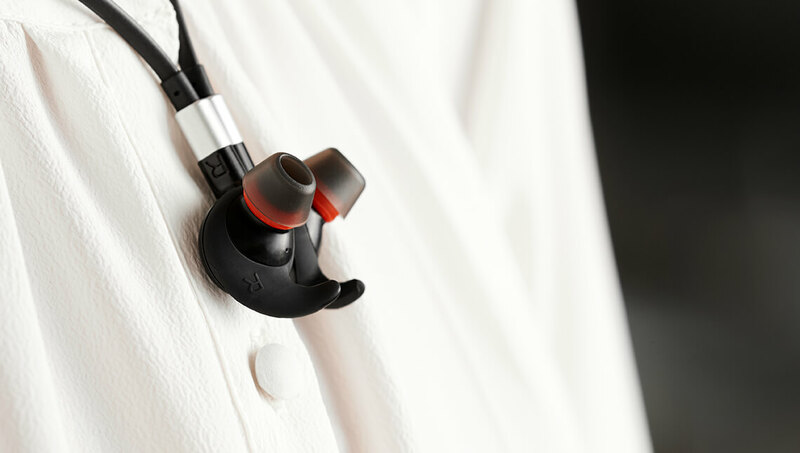 The three-microphone technology creates a unique talk-zone, making sure you’re heard, while other nearby voices are filtered out. 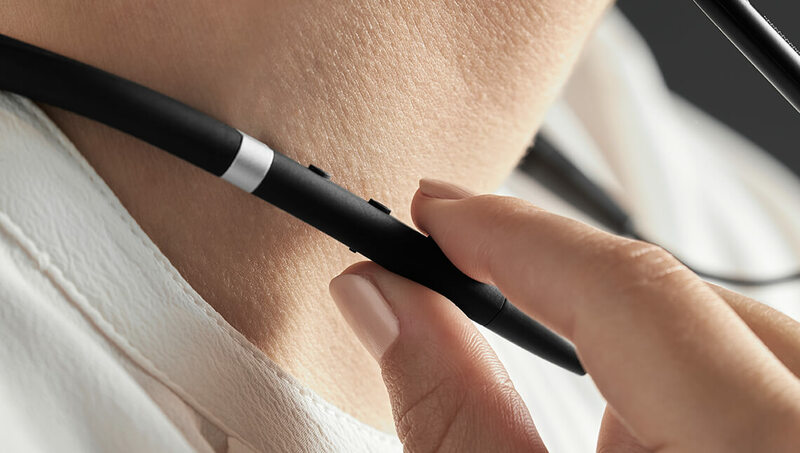 With an around-the-neck, wireless earbud design. 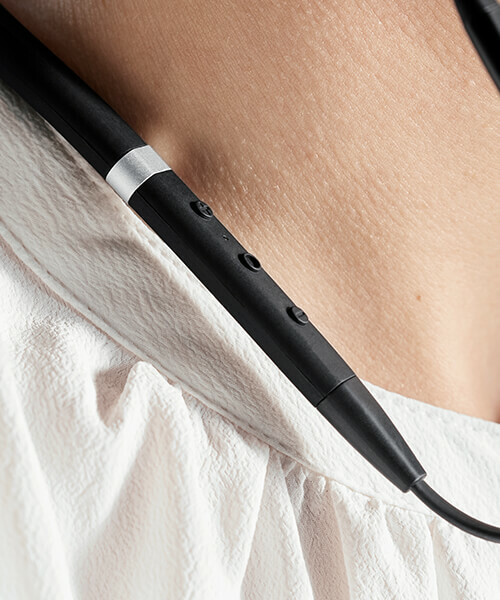 The outer ANC microphone in each earbud and the lead microphone in the microphone-box work together to create a 60 cm "noise free zone" around you. 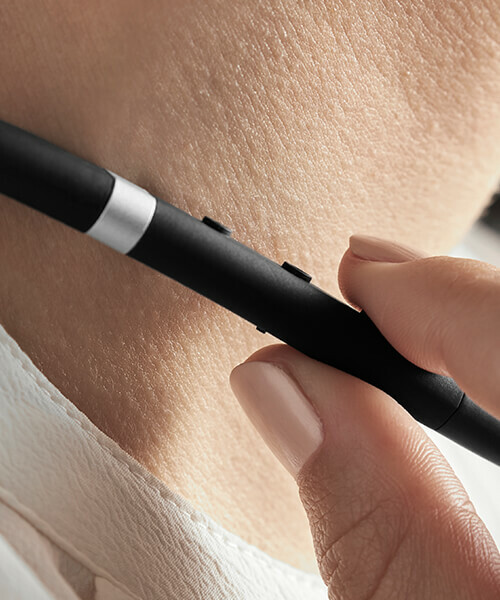 Three-microphone technology provides crystal-clear calls and creates a unique 'talk-zone', making sure you’re heard, while other nearby voices are filtered out. 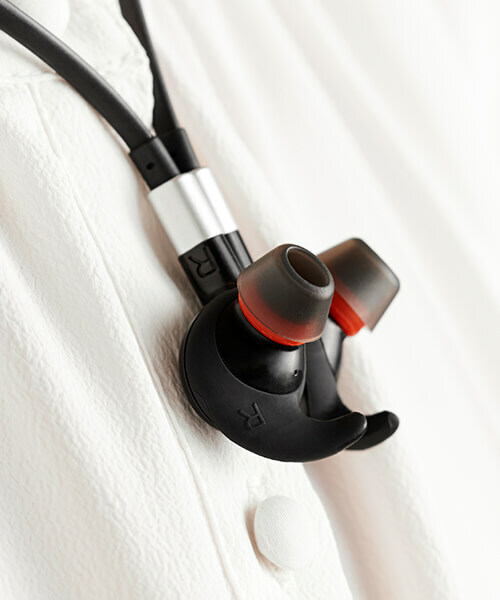 Multiple fitting options for gels and EarWings give amazing comfort throughout the day, and allow you to personalize fit. 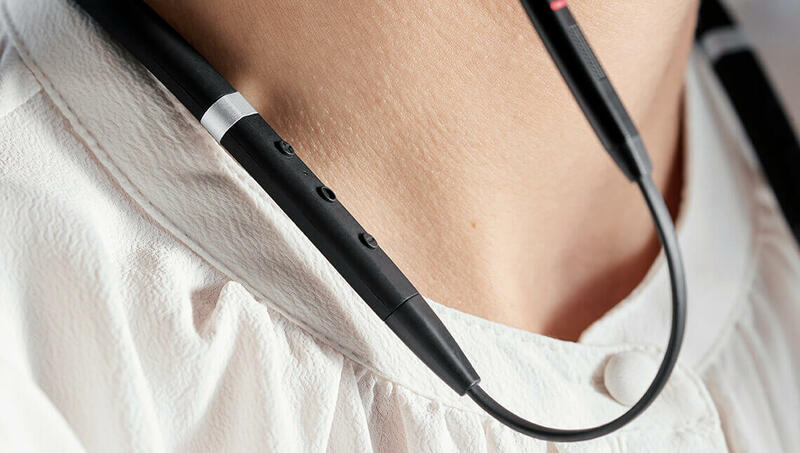 The around-the-neck wearing style allows you to comfortably wear the headset throughout the day. Can I use the Evolve 75e with my smartphone and tablet? Yes. Evolve 75e has world-class speakers that are built for both voice and music. Yes. 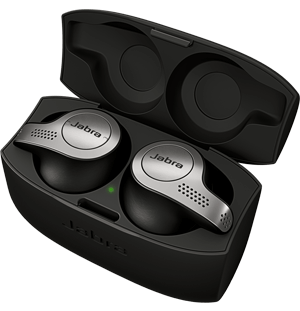 The first time you turn on your Jabra Evolve 75e, it is ready to pair with your mobile phone. You can use the USB cord provided in the box to connect to your laptop power to recharge. 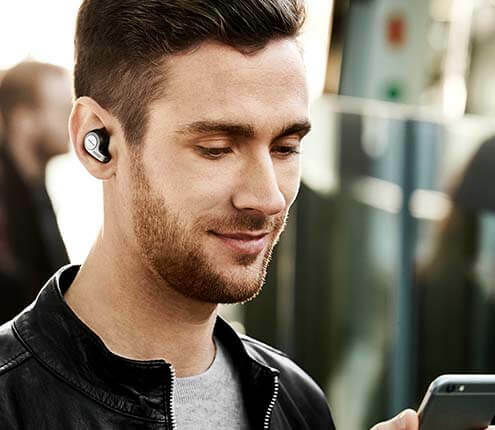 For more frequently asked questions please visit the Jabra Evolve 75e support page.